At Bandito Latin Kitchen & Cantina, fresh is our way of life. From the food to our creative take on our signature line of cocktails, our culinary and beverage teams use only the best ingredients available and present them within our casually elegant atmosphere. 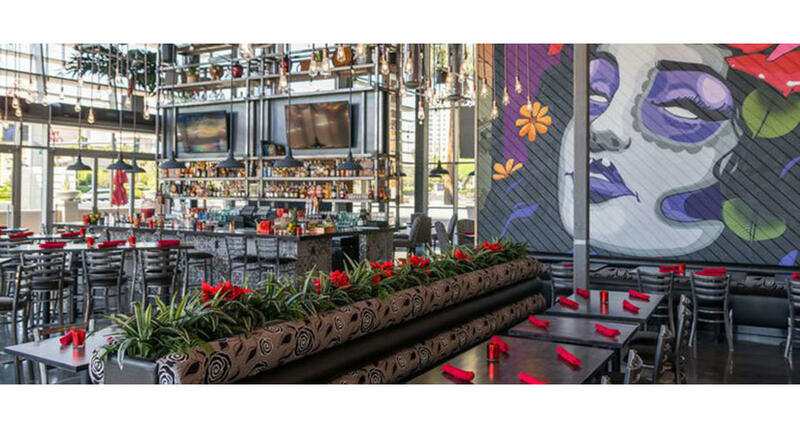 Bandito’s modern industrial décor and upbeat soundtrack offers guests a vibrant dining experience, perfect for date night, an outing with friends, family or co-workers. With both indoor and outdoor dining available, our special event team can create the perfect event to suit your needs and budget. Bandito Latin Kitchen & Cantina. Fresh Food. Creative Cocktails. Las Vegas. We will help you create memories to last a lifetime. With 4,000 square feet of space including an expansive outdoor patio, Bandito is the perfect venue for almost any event, big or small. Planning a convention and need a great place for a breakout lunch or dinner event? Give us a call and let us help you! We offer catering for groups of all sizes, whether a small business lunch for 30 guests or a full-scale event for hundreds offering tray pass appetizers, stations or a full 4-course dinner. Our specialties include special event catering for weddings, corporate events, home parties and full event management. Call us for details.